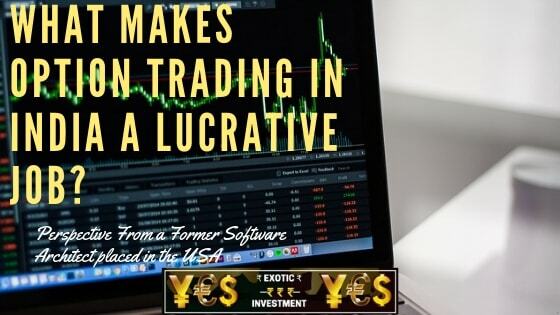 Options Trading in India: A Lucrative Earner Better than a USA JOB! Why is Options Trading in India a Lucrative option for Earning? Firstly it can earn not only the money required to lead a Better life in India, but also would pay off much more salary than a US job of Software architect! When I follow the Day Trading Fundamentals, I can never go bankrupt, as I know how to manage the risk! Its not required to sweat out and work for someone to make money in options trading! It takes care of your Discipline, Risk Management and Keep Your Mind thinking in One Simple Flow. It can not just keep your money wallet full but also makes you hale and healthy as we tend to work out in extra time got from not working for someone and slogging! 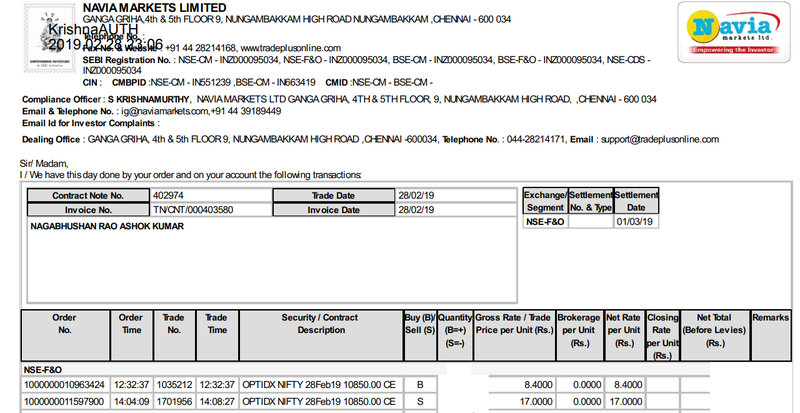 What is the Path it Took Me to Reach the level of Options Trading in India for Me? It took 1.5 years of practice creating and backtesting my Strategies and trading with it for 3 months. After this period I’ve always been profitable in trading Daily! Day trading in Options can prove to be uber profitable from day 1, if you understand and know how to control your emotions. Day trading is about being strict with your Discipline and Stop Losses which makes Us the Best Profits We can Ever Imagine! Day trading in Options makes me wake up at 6 in the morning, sip the fresh green tea, sense the asian markets and perform sandhyavandana and puja and sit for Trading! I’ve Employed 3 traders to trade for me now and have also some times tend to turn lazy of not trading! I’ve travelled about 69 countries and wore my luck by being Disciplined and Mechanical about trading! You can never Personalize Your Profits if You Always Personlize Your Losses! What are the Success Tips for Newbie Options Traders? Don’t start trading without proper Guidance by a mentor in Day trading as it can make you Bankrupt! Learn to stay calm. The market is like our heart has to be on its journey, Up and Down. If you lose some of the profits, there is more up to gain further. Do not panic if the market goes down. Buy a Put of Sell the Market. Be directional and go by the Flow! Don’t be biased about Market always going up. Never think you can always make only profits. Best of the traders in this world cannot Just Make Profits. Even Mr.Warren Buffet made a $900 Million loss overnight when IBM shares fell drastically from $212 to $148. Be disciplined to stick to your strategy. Don’t untrust your strategy. If you can’t trust your own strategy who else will? Learn from the Your and Others Mistakes and bitter and better experiences. Never repeat the same mistakes again. We’re all human. Try to keep your greed, anger, frustration and fear in control. If you stick to technical analysis, just go by it when and however it gives you the directions. Don’t doubt it. When its wrong book your losses! Trust me, there is No 100% efficiently functional engine anywhere in the world. Then You can’t expect it from Technical Analysis based on market which is an index of humans greed and fear! Keep your focus on trades when you are trading and not defocus on something as it may make you losses or your Losses may soar really high. Do meditation as trading can get your BP high some times though you think you control all your trades! Having said this, I say, All the Best of Trading. Happy Trading and Happy Money Making! Disclaimer: All opinions about options trading and intraday trading are exclusively my own experience and should not be considered as a tip or an investment strategy. If considered so, https://Exoticinvetment.com nor Its Owner would be in any way responsible for it!